The Dead Sea Scrolls tell a remarkable story and provide evidence that the Bible is true. What do you need to know about these amazing documents? How can we prove that the Bible is true and inerrant? The doctrine of inerrancy, as commonly understood, states: “Inerrancy is the view that when all the facts become known, they will demonstrate that the Bible in its original autographs and correctly interpreted is entirely true and never false in all it affirms, whether that relates to doctrines or ethics or to the social, physical, or life sciences.” This statement was articulated in the Chicago Statement on Biblical Inerrancy 1974. Many churches list this as one of their fundamental beliefs. But what does it mean? Is the Bible true, or is it simply a compilation of myths? Let’s examine that question further in this second article in the series “Is the Bible True?” This article will examine the second of five proofs, showing how the Dead Sea Scrolls confirm that the “Holy Scriptures” (2 Timothy 3:15-17) have been preserved extraordinarily accurately for thousands of years. We believe this is clear testimony to God’s involvement in this book He inspired to serve as our guide. The Dead Sea Scrolls are universally proclaimed as the greatest archaeological find of the 20th century. The first scrolls were discovered quite by accident by a young Bedouin shepherd in the Qumran area near the Dead Sea in 1947. When tossing a rock into an open cave in the cliffs just above the Dead Sea, he heard the sound of a breaking pot. Upon investigation, he and his fellow Bedouins discovered several clay jars that contained rolled-up scrolls. They took four of these scrolls to Bethlehem for testing. An antiquities dealer by the name of Kando confirmed their authenticity and purchased the original four scrolls for $150. He then sold them to Archbishop Samuel, head of the Syrian Orthodox Monastery of St. Mark in Jerusalem. The Bedouins did not fully realize the value of their discovery and subsequently sold three additional scrolls to another antiquities dealer for an equivalent amount. This all took place in 1947. The phrase “given by inspiration of God” is from the Greek word theopneustos, which means “divinely breathed” (Strong’s Dictionary). Moses and others wrote the words, but God was the real author of the Scriptures. Some suggest the idea that God”s authorship of Scripture is a matter of faith. We would certainly agree that faith is necessary, but there is also objective evidence illustrating the accuracy of the biblical text. When the text is so amazingly accurate, how could God not be involved? This is why the Dead Sea Scrolls are so valuable. Such a historic find could not be kept quiet for very long. 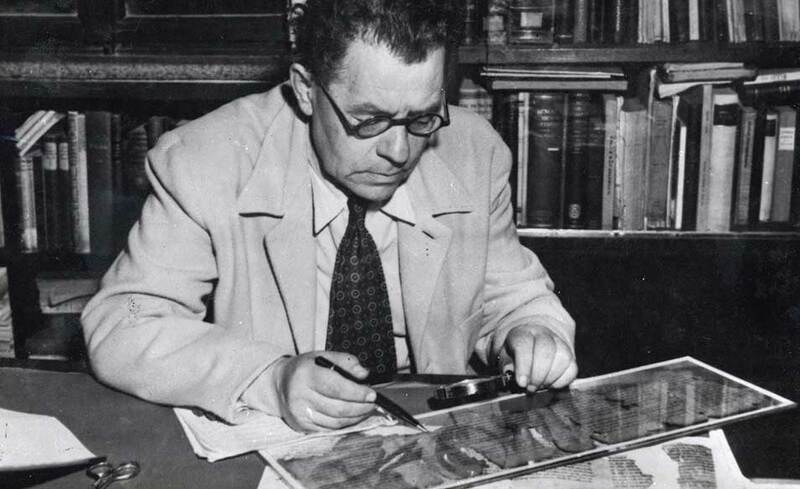 When in 1948 Hebrew University Professor Eliezer Lipa Sukenik heard through an Armenian antiquities dealer of the scrolls’ discovery, he promptly looked into it. He met secretly with the antiquities dealer in the British military zone near the Jerusalem border. The dealer provided a fragment for the professor to examine. Professor Sukenik realized that he was viewing an authentic ancient writing. In 1954 an ad appeared in the Wall Street Journal for the four manuscripts that had been sold to Archbishop Samuel. At that time the scrolls were in a Syrian Orthodox Church in New Jersey. Recognizing the great value of these scrolls, the Israeli government purchased them through an American intermediary. From New Jersey, the scrolls were taken to Hebrew University for examination and safekeeping. They remained there until 1965 when the Shrine of the Book was built in Jerusalem to house the historic documents. It wasn’t long after the initial discovery that word began to spread in the archaeological community that these original seven scrolls, all taken from one cave, contained biblical texts along with other writings. This prompted further excavation of the Qumran area and more scrolls were found in 10 nearby caves. The treasure trove, now known as the Dead Sea Scrolls, includes a small number of near-complete scrolls and tens of thousands of fragments, representing more than 900 texts in Hebrew, Aramaic and Greek. The scrolls consist of two general types: the biblical text (including partial or complete copies of all the books of the Hebrew Scriptures with the exception of the book of Esther) and nonbiblical texts (including letters, hymns, prayers, calendrical texts and legal documents). Today you can view the scrolls at the Shrine of the Book in Jerusalem, or you can go online to the Leon Levy Dead Sea Scrolls Digital Library. The Israel Antiquities Authority (IAA) is responsible for maintaining the scrolls and providing access for those who are interested. What is so special about these scrolls, and how do they help us prove the Bible is true? Until the discovery of the scrolls, the oldest manuscripts of the Hebrew Scriptures dated from the 10th century, about 2,500 years after the time of Moses. How can we be assured of the integrity of a document after so much time? Considering the carefulness of the copyists is one way to be assured of the accuracy of the preservation of the Bible. The Greek New Testament was preserved by a different method, through more than 6,000 manuscripts and fragments of manuscripts discovered in Asia Minor and Egypt dating back to the second century after Christ. Fragments of the book of John have been found dating to less than a generation after John wrote it. This wealth of manuscripts, some very early, gives us confidence we have accurate versions of the New Testament as well. We believe that the Jews were given the responsibility for preserving the Hebrew Scriptures. The apostle Paul wrote: “What advantage then has the Jew, or what is the profit of circumcision? Much in every way! Chiefly because to them were committed the oracles of God” (Romans 3:1-2). The Hebrew Scriptures that make up the Old Testament were preserved by a group of Jewish scholars called Masoretes. Their manuscripts are known today as the Masoretic Text. The Masoretes were meticulous in their preservation, so when a copy became worn, a new copy was created. Once its accuracy was confirmed, they would destroy the old one. Because of that, the oldest of these manuscripts available today is the Aleppo Codex, dating from A.D. 935. The Masoretes became known as “counters,” since this was one of the methods they used to make sure the copy was an exact duplicate. They counted the words and the letters in each one to confirm the accuracy of the new one. This practice continued for more than 400 years (from A.D. 600 to 1000). But how can we prove that a copy from 935 faithfully represents the original writings? The discovery of the Dead Sea Scrolls provides important confirmation. From what we know, the Qumran community that stored the Dead Sea Scrolls was composed of Jews who had departed from the primary Jewish community. By choice, they appear to have been outcasts. The quality and care taken with the writing varies greatly among the copies. But still these ancient manuscripts have proven very helpful. Norman Geisler is the author of several books on the subject of inerrancy: Inerrancy, 1978; General Introduction to the Bible, 1986; and From God to Us, 2012. Dr. Geisler says the Dead Sea Scrolls provide the best external evidence showing the validity of the Masoretic Text, proving that this text type was in fact accurately preserved over a period of about 1,000 years from the first century to the 900s A.D. He concludes that we can be confident that the texts used to copy the Dead Sea Scrolls were of the same tradition or family as used in the Masoretic Text. He provides evidence from comparative studies of the Isaiah scroll revealing that a word-for-word identity exists in 95 percent of the text. That is a very high rate of similarity for documents that were copied 1,000 years apart. Other scholars have commented on the similarities between the Dead Sea Scrolls and the Masoretic Text. Hebrew scholar Millar Burrows writes, “It is a matter of wonder that through something like one thousand years the text underwent so little alteration. As I said in my first article on the scroll, ‘Herein lies its chief importance, supporting the fidelity of the Masoretic tradition’” (The Dead Sea Scrolls, 1955). The Dead Sea Scrolls provide an objective confirmation of the authenticity of the Masoretic Text, which is the basis for our modern copies of the Old Testament. Although we live in 2015, we can go back in time 2,000 years and read from the scroll of Isaiah discovered by a shepherd boy in a cave above the Dead Sea. Is the Bible true? The Dead Sea Scrolls help tell us yes!